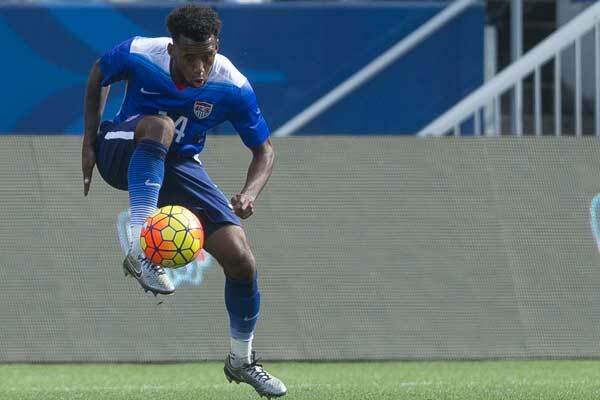 By Jason Davis – WASHINGTON DC (Sep 12, 2018) US Soccer Players - Pity the New England Revolution, even if the situation they find themselves in is largely of their own making. Certainly pity their fans, a hardy group of loyal-to-a-fault soccer obsessives who support their beloved team despite often wanting to tear their hair out while doing so. Pity MLS, a league made weaker by the inability of the Revs to capitalize on a diverse, sports-mad, and potentially explosive market in Boston, Massachusetts. Pity them all. Trying to pin down the justifiable level of righteous anger for Revolution fans is difficult. Robert Kraft is an original Major League Soccer investor without whom the league simply would not exist. Kraft’s willingness to lose money in the early years of the startup competition shouldn’t go unrecognized during an era when MLS is adding teams and stadiums at a rapid clip. It’s because of those new teams, new stadiums, and the escalating ambition of the league that frustration grows with older clubs. 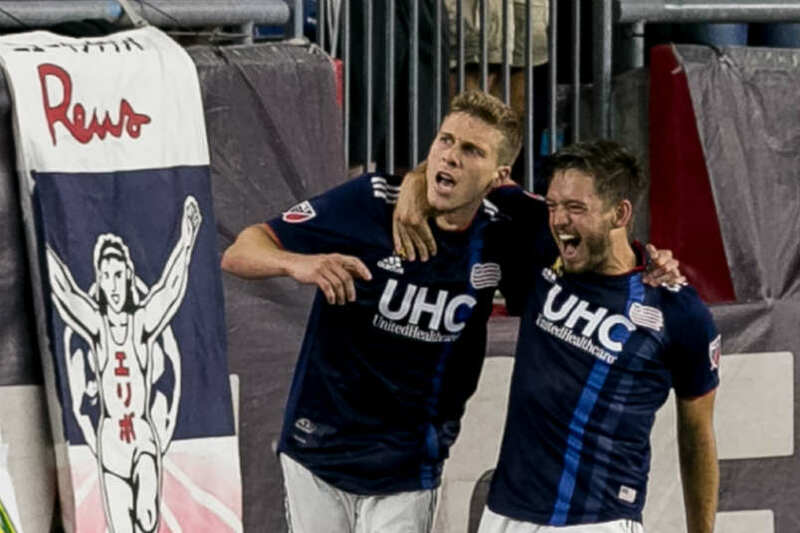 While clubs around the country are setting new standards via crowds and soccer venues, the Revolution languish in the ill-fitting confines of Gillette Stadium in suburban Foxboro. Revolution home games regularly feature an artificial surface covered in gridiron lines and a crowd dwarfed by the empty seats in the cavernous NFL stadium. It’s not the most attractive place for players, a fact that plays a role in how good the Revolution can be on the field. Though other MLS teams found success sharing an NFL stadium, New England simply isn't one of them. It probably hasn't helped the soccer team that the NFL team has been so dominant in recent years. Still, even for the Patriots there's the feeling that Foxborough isn't ideal. It's the location of their previous stadium and previous and current ownership looked at building in Boston. It's an odd situation with the stadium located closer to Providence, Rhode Island than Boston. Nobody confuses the Revolution with a regional team. If anything, that would only compound its issues. It’s 2018 and the Revolution don’t have a public stadium plan, much less a stadium. Evidence does suggest that an effort is underway to yank the club forward into MLS modernity, however. With disclosure of the draft terms of a lease that would have allowed the Krafts to build a soccer stadium in Boston’s Dorchester area, we have real reason to believe there’s a desire to catch up. The plan called for a 25,000-seat venue on the site of the Bayside Expo Center, a location easily accessible by public transportation. The Krafts asked for no public subsidies. The club would pay $2.5million in rent annually to the University of Massachusetts Building Authority, as well as $1.5m per year in mitigation payments to the state. Additional rent would be due if tickets sales exceeded #1m. Back in April of 2017 when the deal fell apart because of neighborhood opposition and the failure to secure an adjacent parcel of land owned by the Boston Teachers Union, the Revolution took the odd step of issuing a public statement. Included with text that stressed ownership’s desire to find a proper home for the team were renderings of the intended stadium in Dorchester. The renderings showed an impressive small stadium on the water. The club even published a revised plan that accounted for the inability to secure the Boston Teachers Union parcel. The Krafts were signaling to everyone that they were trying. Other mooted stadium sites preceded the Bayside Expo Center location, so this was not a one-off swing-and-miss on the part of the Krafts. There’s no reason to doubt that the club wants to find a place to put a stadium in Boston. They really are trying. The phrase “perfect is the enemy of good” might apply when it comes to New England’s situation. At least that might be the situation with the quest for a T-accessible location in Boston or a locality connected to the city by the public transportation system. The Boston real estate market is among the most difficult in the country, especially for a footprint as large as a stadium. Focusing solely on a site in an urbanized area reachable from the T will necessarily make the process difficult. Each time the Krafts fail, they ensure more time spent in Foxboro, and more ground lost to the rest of MLS. It's a tough situation for the Krafts. They want a solution that keeps proving difficult. Earlier owners of their football team faced the same thing. Boston doesn't make it easy to build new stadiums. The closely packed and centuries old suburbs might not either. To some extent, that might have worked in the Revs' favor. They didn't follow the lead of Colorado, Chicago, and FC Dallas, all of whom took the option to construct purpose-built venues outside of the urban cores of their respective markets during the last decade. Because the pressure to find a home of their own didn’t really increase to significant levels until after that first wave of new stadium construction, the Revs bypassed the "any stadium is better than a shared stadium" era. Avoiding that particular scenario doesn't help with the current problem. It's the renewed pressure to find a soccer-specific home for the team in Boston. MLS demands more now than ever, finding success with stadiums located within the city on the crest regardless of expense. Though the Krafts were decades away from owning the NFL team, this is an old scenario. As an article in The Foxboro reporter explains, the Patriots moved there in the first place because the NFL was pushing for football-specificity. The best site available in Boston? Dorchester back in the late 1960s. Is building a stadium somewhere other than Boston worth it for the Krafts? Or is the best course to hold out for a spot somewhere in the Hub while trying to return to contender status in the Eastern Conference? Their almost champions run occurred in Foxboro, after all. It's a different MLS now, with the pressure building for the original clubs.